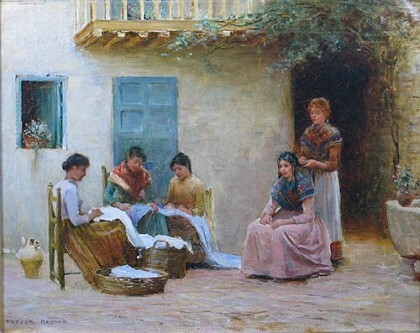 Spanish women darning and sewing in a courtyard. 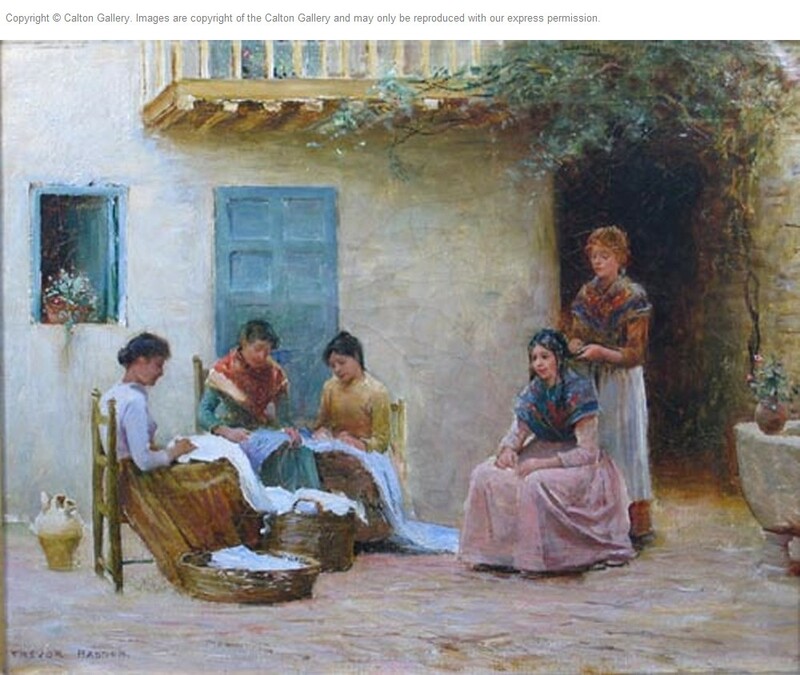 Haddon was a painter and watercolourist of the Italian and Spanish landscape and country genre. Also travelled in North and South America.